For schools and offices looking for sturdy lockers, here’s your opportunity to download lockers buying guide. There are several lockers to choose from. There are the inexpensive, plastic, heavy duty, and even see through lockers. There are varieties of lockers for your different needs. 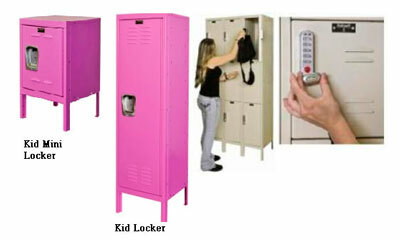 I find this kiddie locker really cute well, because it’s pink and this digitech locker for personal stuff. This entry was posted in Cabinets and tagged digitech locker, kiddie locker, locker, locker buying guide, locker guide on March 24, 2013 by Mommy Yam.